Superstar Prabhas who is known to be a household phenomenon post the immense success of Baahubali enjoys a huge fan base across the globe. Owing to the actor’s popularity amongst the audience, fans in Japan have organised for a special event on account of the actor’s birthday. Fans based in Japan are coming together to celebrate the birthday of their superstar Prabhas by organising a special event. 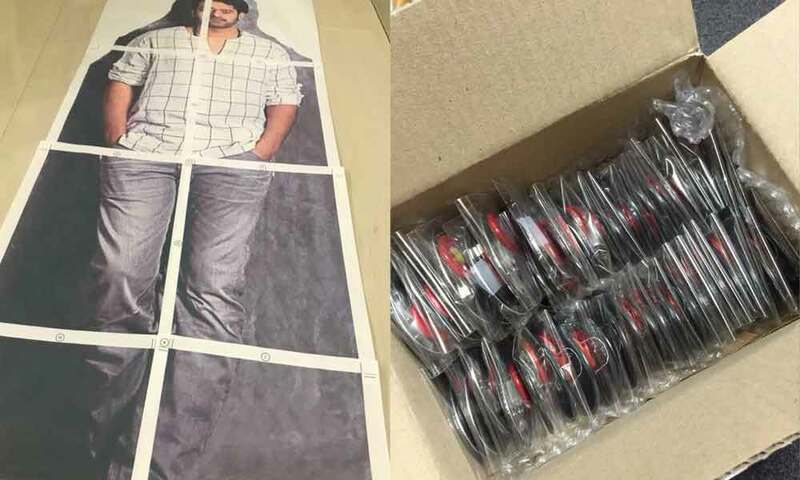 Not just his fans, Prabhas too has a special surprise for all his fans. The actor who is celebrating his birthday on 23rd October will be treating the audience with special content from his upcoming film Saaho. Earlier today, the makers of the film shared a glimpse of it today by unveiling the shades of Saaho in the form of an image. While Prabhas’ recent post has left everyone intrigued, fans are high on anticipation to witness the surprise this year. Prabhas’s next big outing Saaho is a high octane action thriller, trilingual film, the shoot for which is currently under progress. Previous articleJacqueline Fernandez Steals The Show At The One Young India Event!